Proteins should be an important ingredient of your daily diet as they are considered as the building blocks of our body! Not only they help in building muscular strength, but they are also helpful in weight loss. But, you need to be very careful to have a clear idea on the quantity and quality of protein that you need to take in on daily basis. The food that contains all types of essential amino acids is considered to be the best quality protein. There are a number of food items that are rich in protein and you will need to add them to your daily diet as per your body requirement. To help you with this, we have jotted down some of the Protein rich food items that will help in keeping you healthy. Eggs are the richest source of protein! They are believed to contain all types of nutrients including vitamins, brain nutrients, healthy fats, minerals, and eye-protecting antioxidants. And, you should an adequate amount of protein to help healthy growth of your body. Percentage of Protein in Eggs: 1 egg piece contains 6 gm of protein & 78% calories. Almonds, the well-known tree nut! They contain various nutrients including magnesium, vitamin E, fiber, and manganese. Percentage of Protein in Almond: 1 ounce of Almonds contains 6 gm of protein. One of the healthiest grains on the planet is Oats! Oats contain manganese, healthy fibers, magnesium, thiamin (vitamin B1), and much more. Percentage of Protein in Oats: A cup of raw oats contain 13 gm of protein and 303 calories. Also known as strained yogurt, Greek yogurt is a very thick kind of yogurt! It has a very delicious taste and has cream like texture. Percentage of Protein in Greek Yogurt: One ounce of Greek yogurt contains 17 grams of protein. Milk is rich in many nutrients including protein, vitamins, and minerals. It can be a high source of protein and can help you in every stage of your life. It is supposed to be made of all the nutrients in small quantity. But, particularly it is rich in calcium, riboflavin (vitamin B2), and phosphorus. Protein content in Milk: A cup of Milk is supposed to contain 8 grams of protein. Broccoli is considered one of the healthiest vegetables. It consists of fiber, potassium, vitamin C, and vitamin K. In addition to that, it is also a rich source of bioactive nutrients, which help in preventing cancerous cells. Protein content is incredibly high as compared to other vegetables. Protein content in Broccoli: A cup of chopped broccoli is supposed to contain 3 gm of protein. 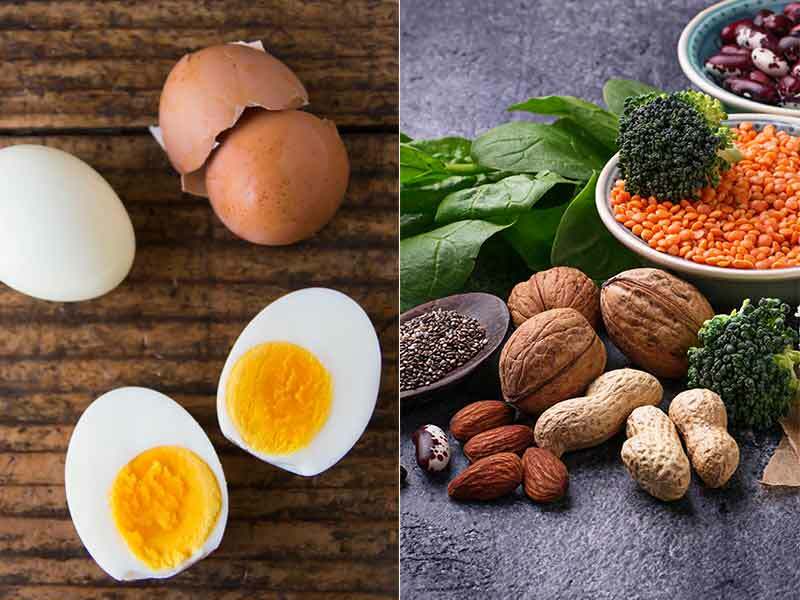 So, these are some of the best sources of protein and many other nutrients that are required for the for maintaining good health.